Cleanly styled pants offer flattering ease with pull-on styling and a wide-leg cut that flares below the knee. Color(s): black. Brand: KAREN KANE. 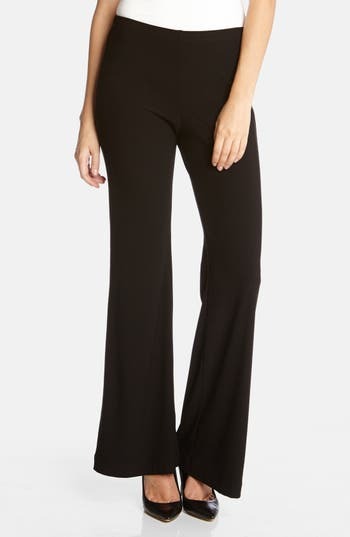 Style Name: Karen Kane Wide Leg Crepe Pants. Style Number: 819955. Available in stores.